Here’s where you’ll find the quintessential Vegas: lavish casinos, glamorous clubs, hopping piano bars, and the infamous wedding chapels and neon lights. 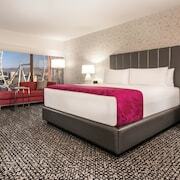 Travelers to Las Vegas give high marks for the casinos, entertainment choices, and live music scene. 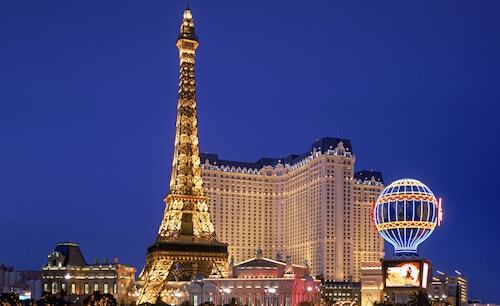 Tourists who journey to this welcoming city can discover its restaurants, shopping, and bars. 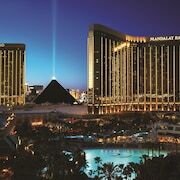 Top sights in the city include Las Vegas Strip, Bass Pro Shops, and Hoover Dam. Well known for its live music scene, the city's cultural venues include Ethel M Chocolates Factory, Clark County Museum, and Boulder City Hoover Dam Museum. The city is notable for landmarks like Hoover Dam, Old Las Vegas Mormon Fort State Historic Park, and Bonnie Springs Old Nevada. The picturesque setting of Ethel M Botanical Cactus Gardens and Red Rock Canyon exemplify the city's natural beauty. 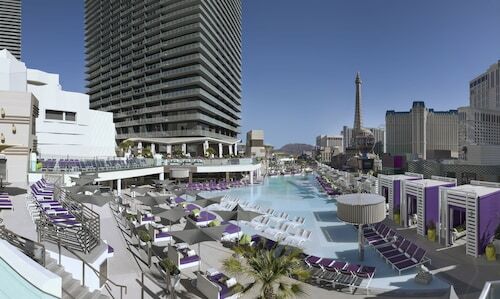 Mandarin Oriental, Las Vegas - This 5-star resort features 2 outdoor pools, a full-service spa, and 2 restaurants. It's a favorite with Expedia travelers for its bar and breakfast. 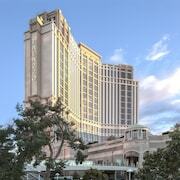 Four Seasons Hotel Las Vegas - Our customers like the breakfast and pool at this resort. This 5-star resort features a full-service spa, 2 restaurants, and an outdoor pool. 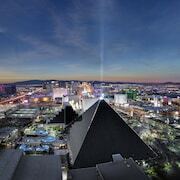 Residence Inn Las Vegas Airport - With a stay at this 3-star hotel, guests can enjoy access to free breakfast and an outdoor pool, along with an in-room kitchen. Expedia customers like its breakfast and pool. 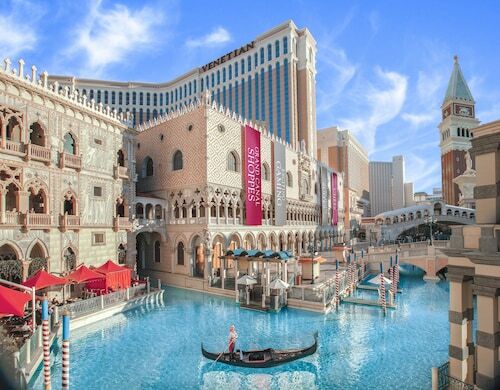 Other favorite sights in Las Vegas include Las Vegas Strip, Bass Pro Shops, and Fashion Show Mall. You can take advantage of metro transit at Flamingo - Caesars Palace Monorail Station, Ballys and Paris Las Vegas Monorail Station, and Harrahs - Imperial Palace Monorail Station. If you'd like to venture out around the area, you may want to rent a car for your trip. 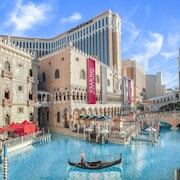 Explore Las Vegas with Expedia.com.au’s Travel Guides to find the best flights, cars, holiday packages and more!